How many times has this happened to you? Your house is loaded with stuff that you are not using, but it is too good to throw away. Could be decorative accessories that you no longer have a space for, clothes from a former era (or weight! ), an extra set of china – maybe incomplete, odd or partial sets of drinking glasses, kitchen utensils or serving pieces, sheets, blankets or other bedding, old sports equipment. You finally bite the bullet and throw it away. And the next week, you are kicking yourself because you wish you had it back. The kids need something to set up an apartment, you have unexpected company and need the bedding, you ask people over for a meal and need the discarded china or glasses. You suddenly can fit back into those treasured clothes. Your grandson takes up golf and could use the clubs. 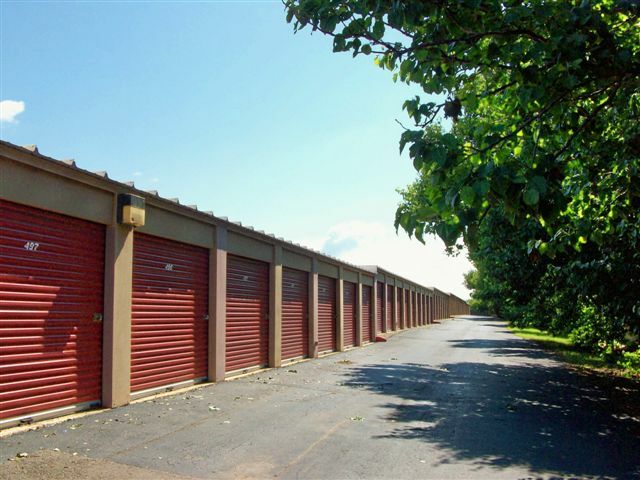 Quail Creek Self Storage has the solution for you – don’t pitch it, store it! We have units as small as 5 x 5 which will hold an amazing amount of “stuff.” And our prices start as low as $39 a month. A small price to clean out your house, attic or garage and still not risk parting with something valuable. also have units as large as 10 x 30 and 10 x 40, so you’ll also have a place for those larger items, like extra furniture, exercise equipment, and other large “treasures” you don’t quite want to part with. You can clean out that cluttered garage and finally get the other car inside! could not be easier. Just contact Bob at 749-4613. Office hours are Monday through Friday 9:30-5:30 and Saturday 10:00-2:00. We’ll meet you after hours on appointment. Once you have your unit rented, you have easy access to it 24 hours a day, 7 days a week. We have on-site security, cameras and lights, so you can be sure your valuables are well-protected. Quail Creek Self Storage is locally owned by one of your Quail Creek neighbors, so we are going to make sure to please you. We’re incredibly convenient, right in your area. We are on the south side of Memorial Road, west of May, just west of the new Shoppes at Quail Springs. We are actually on Hollow Rock Road, so you can come through the Quail Creek neighborhood and not have to brave Memorial. have the best of both worlds – clean out that stuff you don’t use, but don’t take the chance of throwing out something you’ll regret. Contact us at Quail Creek Self Storage today!